Vector of Business Card. 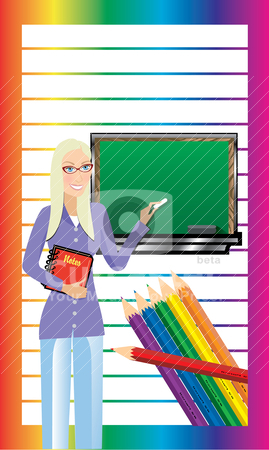 Teacher with Chalkboard and notebook. There is room for text. See others in this series.